The IMA welcomed the trade delegation which was led personally by MIDA CEO Datuk Noharuddin Nordin and was his first visit to Ireland. Delegates included investment promotion agencies from Malaysia and senior government officials. 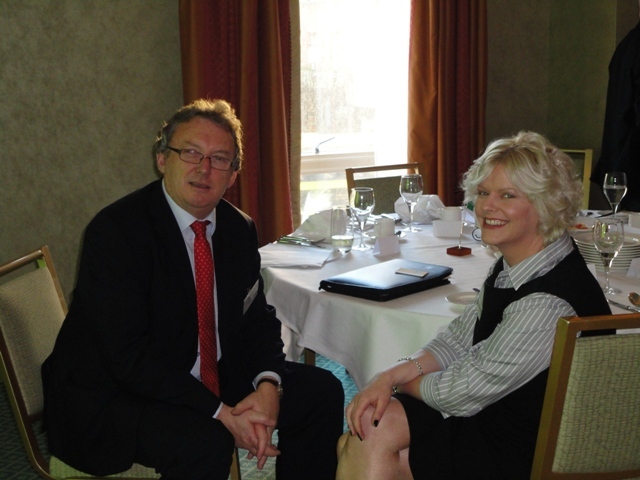 Attendees from Irish based companies had the opportunity to hold one-to-one meetings with the promotion agencies to explore what expansion opportunities are available to them. 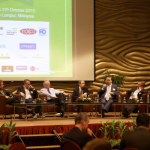 At a recent Ireland Malaysia Association (IMA) meeting of 50 high profile exporters, analysts delivered positive messages about the stability and viability of Malaysia as the gateway to the ASEAN Region. IMA members can view presentation slides from the secure members’ area. 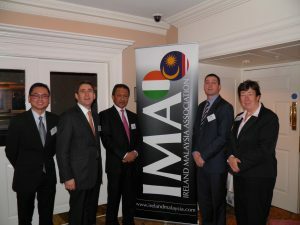 A strong message from Malaysia, that ‘Ireland is a special trading partner ‘ was delivered by His Excellency Dato ‘Ramli Naam, Malaysian Ambassador to Ireland, at a recent Ireland Malaysia Association (IMA) meeting in Dublin. 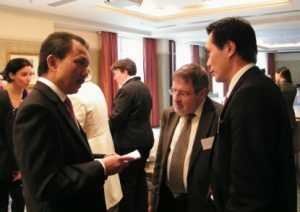 Ambassador Ramli said ‘The Malaysian Government is committed to delivering a business friendly environment for Ireland. 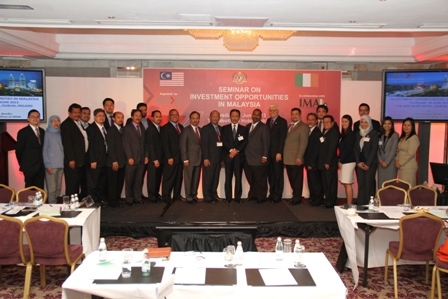 In my capacity as Ambassador I will work closely with local businesses and educational organisations and share their experiences and difficulties with my colleagues in the Malaysian authorities.’ The Ambassador went on to discuss an investment seminar planned for the second quarter of 2012 that will involve Malaysian businesses coming to Ireland, accompanied by senior Government Ministers. H.E. 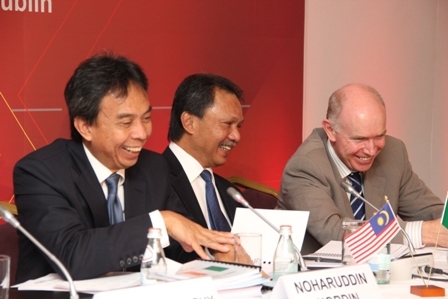 Ambassador Dato’ Ramli Naam is the Honorary Patron of the IMA. This message was corroborated by award winning exporters Niall Norton, CEO of Openet Global and winner of the 2011 Irish Ernst & Young Entrepreneur of the Year and International Category awards, and Dr. Terry McWade, Deputy CEO Royal College of Surgeons in Ireland. Mr. Norton said ‘In six years, our staff numbers in Malaysia have grown from 20 to 150. We employ young energetic people who are of the highest quality. The culture in Malaysia is enterprising and vibrant. For Openet it is also a doorway to other markets in the wider ASEAN region and Japan.’ He concluded ‘Malaysia is a stable and booming economy. One of our biggest challenges there is hiring and developing our people.’ Openet Global employs over 820 people and in 2011 had total revenue of $126m. Dr. McWade addressed IMA members about RCSI jointly acquiring with UCD, their college in Penang and the experiences of the RCSI over the last 16 years of doing business with Malaysia. Dr. McWade said ‘The warmth, support and goodwill that exist through the circle of connectivity with Ireland can only benefit bilateral relations. 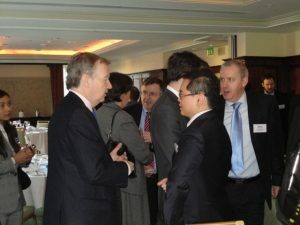 Building on these personal connections is vital for generating further trade and investment between both countries.’ Dr. McWade went on to give examples of senior political, education and business leaders in Malaysia who have strong links to Ireland. He concluded ‘After MOUs (Memorandums of Understanding) are signed and goodwill exchanged, the challenges lie in how to move on from that and raise necessary funding.’ In 2011 Penang Medical College was awarded a six-star rating from the Malaysian Quality Evaluation System for Private Colleges (MyQuest). Only three from a total of 210 private colleges audited, achieved this standard. 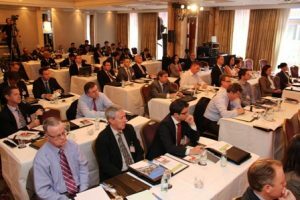 One of the objectives of the IMA is to provide networking opportunities for members in the form of business briefings, delegation visits, seminars and informal events.